Wall Street responded favorably to various positive news items on Friday, including generally good results during the first week of earnings season and optimism about the global economy. Major benchmarks were up more than 1%, and crude oil prices surged even as bond yields rose and precious metals prices sank. Yet some individual stocks missed out on the market's rally. Tesla (NASDAQ: TSLA), Immunomedics (NASDAQ: IMMU), and Nautilus (NYSE: NLS) were among the worst performers. Here's why they did so poorly. Shares of Tesla sank 13% after the electric car specialist announced it would cut its workforce by about 7%. CEO Elon Musk sent a message to workers describing the many challenges that Tesla faces, including the decline in federal tax credits for electric vehicles and the need to make further progress in delivering Model 3 vehicles in order to bolster profit. 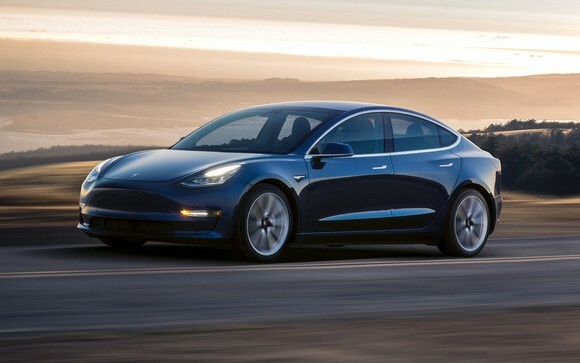 Tesla also disappointed investors with downbeat guidance on earnings for the fourth quarter of 2018 and the current first quarter of 2019, and Musk's missive has only highlighted the difficulties that the upstart has in competing against well-established vehicle manufacturers. Immunomedics saw its stock plunge more than 26% after the biopharmaceutical company received a complete response letter from the U.S. Food and Drug Administration concerning its biologics license application for its sacituzumab govitecan breast-cancer treatment. Immunomedics had sought to get accelerated approval of the treatment for metastatic triple-negative breast cancer patients who've had at least two prior therapies for the disease, and CEO Michael Pehl still sees its "potential to be a viable treatment option for these patients." Yet the news comes as a big disappointment for those who had hoped that Immunomedics could more quickly get its treatment on the market, instead forcing them to continue to wait as the biopharma company keeps having to spend cash without getting any revenue. Finally, shares of Nautilus plummeted over 40%. The fitness solutions company issued preliminary results for the fourth quarter of 2018 that were disappointing, including a roughly 10% decline in fourth-quarter revenue from year-ago levels and a huge drop in earnings per share. Investors had expected substantial sales increases and much better earnings stemming from the introduction of the Max Intelligence digital platform, but CEO Bruce Cazenave explained that the rollout didn't go nearly as well as planned despite ongoing strength in the company's retail segment. With profit challenges expected to last into 2019, Nautilus isn't showing the confidence that investors want to see right now during the key new year's season.